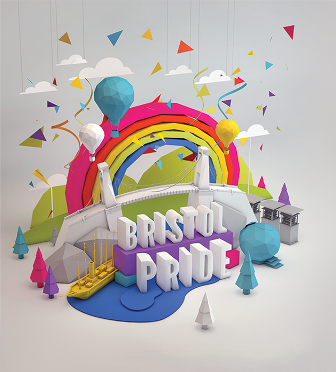 OutStories will be at Bristol Pride on Saturday. 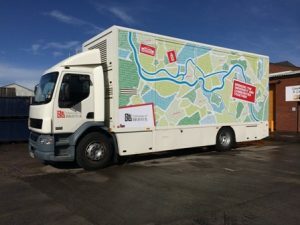 Instead of a small stall in the Community Tent, we’ll be in this big truck showing off our new online map and mobile app telling the stories of LGBT+ people in the Bristol region. Over the last year we’ve been working with the University of Bristol, Bristol Record Office and Bristol City Council to create the map. The map will also appear as an “LGBT+ Life” layer on the Council’s interactive Know Your Place website, and as a custom mobile app that will allow users to explore the map on the move. Just find Mapping LGBT+ Bristol in your app store (Android and iTunes). We’ll have laptops and tablets available in the truck on Saturday so you can explore the map. Come and say hello – and play! Bristol Amphitheatre and Millennium Square (Harbourside).